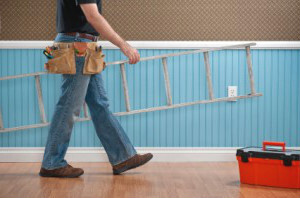 AfterTheBuilders Ltd. offers full range of handyman services in Balham, SW12. We can handle all types of tasks from simple odd jobs to complicated assembly jobs. Give us a call today! Our handyman services include many different odd jobs, putting together furniture, fitting blinds and curtains and repairing bathroom extractor fans. If you need professional help in doing any of these jobs, use our handyman services, available in Balham, SW12. They include changing handles and locks, moving your old furniture and assembling the new pieces, draught proofing your doors and windows, lifting and moving heavy objects, changing old light fixtures and applying the new on the ceiling and many other things. Call our contact numbers, ordering the handyman services you need in your home or commercial estate and we will provide them. I am so thankful that You agreed to carry out the service late in the evening. The handyman was a very friendly and knowledgeable guy who fixed the door within an hour. Choosing you for the handymen services for my home maintenance really facilitated my busy working schedule and I want to thank you for that. 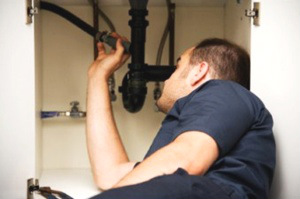 It can be very frustrating to have a leaking toilet, a broken door knob or a light bulb that is stuck and you can’t unscrew. For any type of issue in your home or office, no matter its complexity, call us and use our handyman services. Our company has been dealing with professional handyman services in Balham, SW12 for long enough to guarantee high quality and ideal completion with every task. We work with a crew of experienced electricians, plumbers, carpenters, gardeners and other experts, who are qualified and the best at their job. It’s easy for us to provide you with flawless results and services to remember. Is your window broken or you want to replace the tap with a new one? There are so many tasks within a household that need to be done every once in a while, that sometimes the list of responsibilities grows faster than you could manage. Don’t let this frustrate you but call us and allow our company to handle the issues for you. 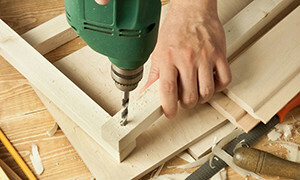 We are an experienced agency, which has been offering excellent handyman services in Balham, SW12. We are one of the leaders on the market and have become one of the most reliable companies in London. Call us now.